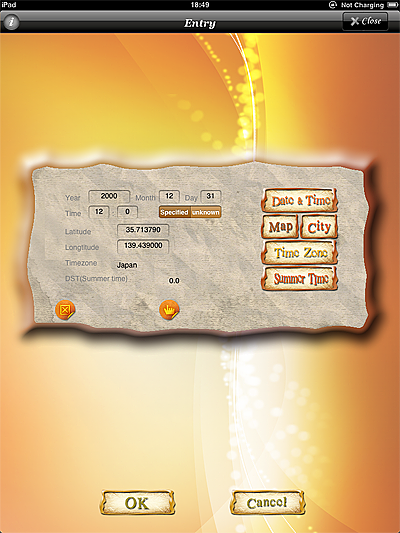 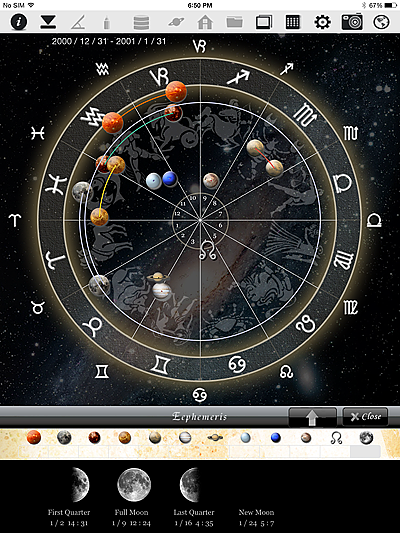 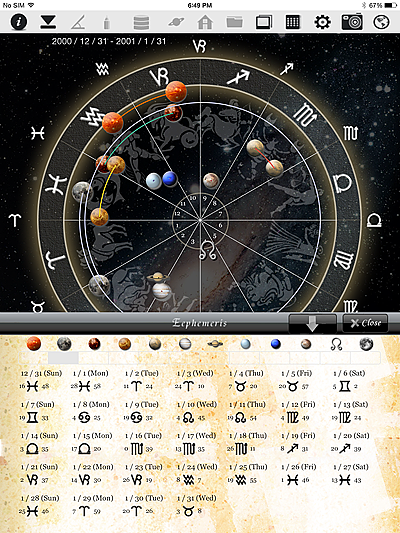 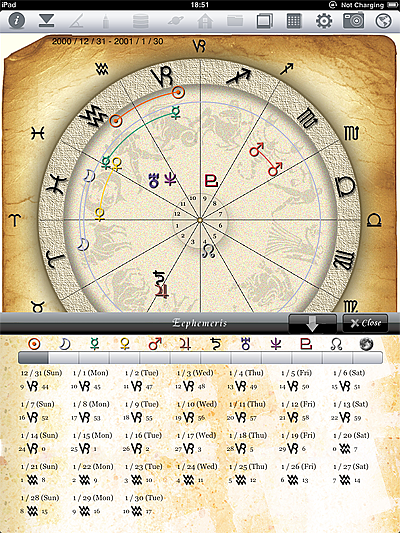 This option creates ephemeris by horoscope and sensitive points data. 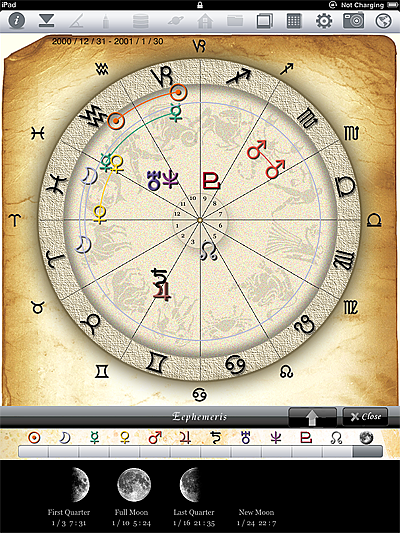 The movement of 10 sensitive points for one month is drawn in the horoscope. 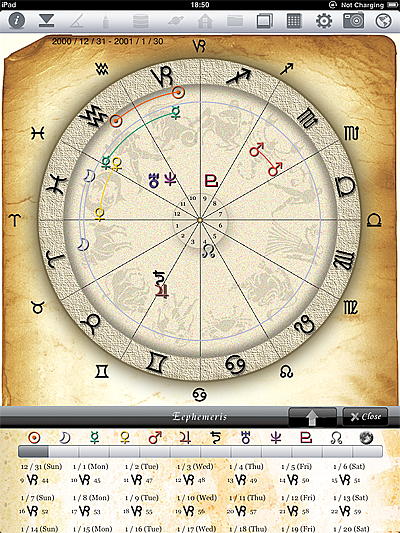 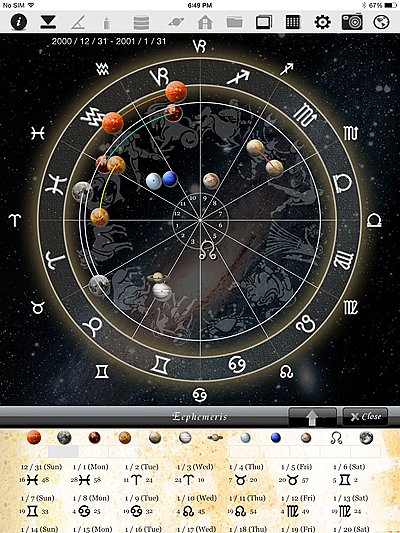 The data of 11 sensitive points and the moon phase can also be displayed.